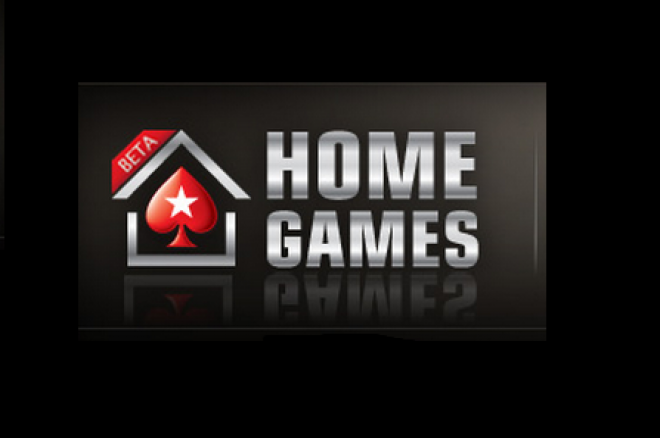 Sign up to PokerStars to play in exclusive online home games with all your buddies around the world. PokerStars have introduced a fun new concept that we think is going to prove a big hit. Imagine having your own poker club online where only your friends are invited, that’s what they have done – PokerStars Home Games. It’s designed to let you create and manage your own private poker club - where you play the games you choose, with just your friends, at the time you want. It’s easy to create a club. First, select a club name and invitation code. Next, access your own exclusive poker lobby, which you can customize with private Home Game tables and tournaments of your choice. Inviting friends is easy too – just send them your club ID and invitation code, then accept them as members when they join your online Poker Club. Then you’ll want to schedule some games and tournaments. Simply choose the game you want, as well as the stakes, then set the date for your online Home Game. The system will automatically send your fellow club members all the details they need. But we think Daniel explains it much better than we can. So what are you waiting for? Get yourself a PokerStars account and tell your friends to get one too. Remember when you sign up to PokerStars via PokerNews you also get to play in all the exclusive promotions we have with them that nobody else does!